Our applied research is accomplished by exploring the economic, social and environmental benefits of advances in sustainable development within various market sectors. We seek to solve practical problems, by employing empirical methodologies using rigorous research protocols. We employ a technique of systematic inquiry, accessing members within the research communities, industry and academia to develop theories, knowledge and techniques that drive our initiatives. We gather and evaluate data from individual case studies; interviewing qualified and quality stakeholders within the sales channel, from manufacturer to end user. In preparation for interviews we develop an advocacy report abstract based on our understanding of the results at the onset as well as our expertise on the subject matter. We also rely on influential reports. Because we may not have access random samples, we believe transparency in our methodology is crucial. To learn more about Eneref Institute, visit our frequently asked questions. The Center for Energy Research (CER) focuses on research, information exchange, and education in energy topics. The Center provided assistance with two reports by Eneref Institute. The US Department of Defense, Office of Installations & Environment (I&E) focuses on research, information exchange, and education in energy topics. The Department provided assistance with two reports by Eneref Institute. The DOE Pacific Northwest National Laboratory (PNNL) focuses on research, information exchange, and education in energy topics. The Laboratory provided assistance with two reports by Eneref Institute. 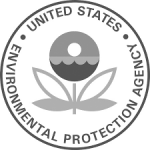 The Environmental Protection Agency (US EPA) focuses on research, information exchange, and education in energy topics. The Agency provided assistance with four reports by Eneref Institute. The International Association of Plumbing and Mechanical Officials (IAMPO) focuses on research, information exchange, and education in energy topics. The Association provided assistance with three reports by Eneref Institute. The Solar Energy Industries Association (SEIA) focuses on research, information exchange, and education in energy topics. The University of Alberta focuses on research, information exchange, and education in energy topics. The University provided assistance with one report by Eneref Institute. 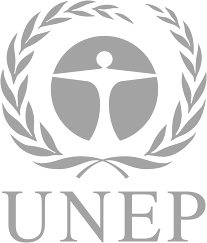 The United Nations Environmental Program (UNEP) focuses on research, information exchange, and education in energy topics. The Program provided assistance with three reports by Eneref Institute. The DOE National Renewable Energy Laboratory (NREL) focuses on research, information exchange, and education in energy topics. The Laboratory provided assistance with four reports by Eneref Institute. 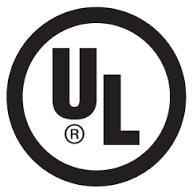 The Underwriter Laboratories (UL) focuses on research, information exchange, and education in energy topics. The Laboratory provided assistance with one of the reports by Eneref Institute.